U.S. President Donald Trump’s recent executive orders on visas, immigration, and the building of a border wall between Mexico and the United States are of grave concern to the Seminar on the Acquisition of Latin American Library Materials (SALALM). 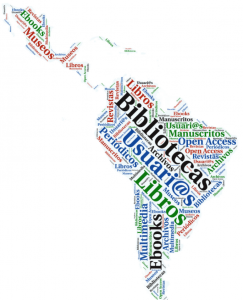 For over 60 years, we are established as a leading professional association of U.S.-based and international research libraries and archives working collaboratively with publishers and information professionals in Latin America to secure and make available research collections related to Latin America and the Caribbean. A cornerstone of our mission is to promote and build upon cooperative efforts to achieve better library services and information exchange across national borders. As research librarians, archivists and information professionals, we are dedicated to promoting greater understanding of Latin America, the Caribbean, Spain, Portugal, and Latino/Hispanic communities within the United States and throughout the world. We are committed to providing access to information to all people, regardless of race, ethnicity, religion, national origin or immigration status, and to encourage collaborative scholarly work across borders. Any measure, state-sponsored or otherwise, that hinders users from accessing our resources or services, including the fear of deportation and the inability to travel to use our collections, undermines our mission. The Trump Administration’s immigration ban creates a hostile climate for foreign students, scholars and information professionals, including librarians, archivists, booksellers and publishers who seek to collaborate with institutions and colleagues in the United States. It also may pose a threat to foreign-born permanent residents who face a hostile reception or detainment on their way back into this country, and subjects U.S. colleagues on professional travel abroad to possible retribution from other states. As part of the larger community of librarians and archivists, we share the concerns of the American Library Association and the Association of College & Research Libraries that these orders are in opposition to the core values of our profession, including a commitment to intellectual freedom; access to information; diversity and inclusion; and privacy and confidentiality.